The Vatican’s investigation, or “apostolic visitation,” of American communities of religious women is more than just a friendly visit, according to Kathleen Sprows Cummings, assistant professor of American studies and associate director of the Cushwa Center for the Study of American Catholicism at the University of Notre Dame. According to Cummings, such statements, along with the Vatican’s warning to the Leadership Conference of Women Religious that sisters are not doing enough to promote Church teaching on controversial issues, “signal that punitive measures may indeed be on the way for women religious who are not living a ‘traditional’ religious life—that is, those who do not wear habits, do not live in convents, and do not engage in established ministries such as teaching or nursing. According to Cummings, “The institutional Church has never quite known what to do with women who step out of traditionally female roles, and there is no question that by becoming collectively more professional, more educated and more likely to challenge those in positions of power in both Church and state, the majority of sisters in this country have grown progressively less ‘feminine’ over the past four decades. 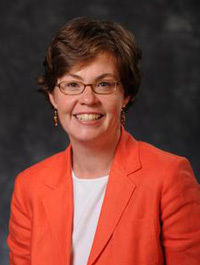 Cummings expects the investigation’s final report to “make much of statistics that show that congregations whose members wear habits, live in convents, and engage in conventional ministries are presently attracting more members than their non-traditional counterparts,” but she admonished that “it is far too soon to tell if this trend will be sustained, or whether those who have entered over the past decade will stay permanently. “Even the fastest-growing congregations today receive far fewer new members annually than most women’s religious communities did a century ago,” Cummings said. successful in selling religious life today because most Catholic women today are less willing to dedicate their entire lives to subsidizing the Church’s infrastructure. Cummings, a regular contributor to Commonweal, America and American Catholic Studies, currently is working on a book about women and American Catholicism. Originally published by Michael O. Garvey at newsinfo.nd.edu on July 13, 2009.